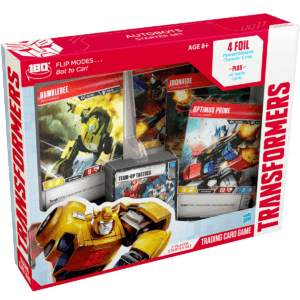 When the Transformers TCG first came out, we opened a box on stream and played using the cards we opened. You can watch the stream below, which includes us dancing around after we opened super rare Bumblebee. While we didn’t use Bee on stream, building a deck with him after the stream was a top priority. 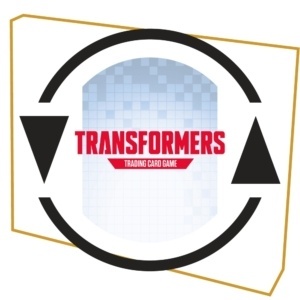 As I noted in my blog about my Jets deck, I learned a lot about the Transformers TCG after the initial live stream. One of the most important lessons was going in with a core concept in mind. If I wanted to use the super rare Bumblebee, I knew I had to find a core concept for the deck that worked with him. It only took me a few games to understand how powerful untapping a Transformer can be. For this reason, Ready for Action is a staple in basically every deck I build. As I was looking through my binder of cards, I couldn’t help but notice cards that let you untap ‘car’ Transformers like Start Your Engines and Turbo Boosters. When you play Start Your Engines, you flip all of your Transformers to their car mode and ready one of them. This does not count as your once a turn flip, so it works amazingly well with Transformers like Prowl who have abilities that trigger from flipping. You can flip them to their bot mode and then play this card to flip them back! Turboboosters was also notable, mainly because it was an upgrade that untapped a car. 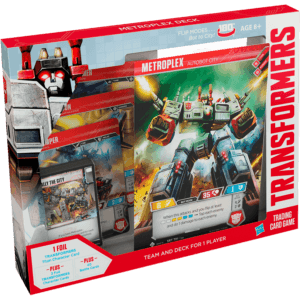 Being able to pair Turboboosters with cards like Start Your Engines or Ready For Action means you can go from having a single Transformer ready to attack to three. This is particularly effective if you can play this combo right after your opponent attacks with their last untapped Transformer, since you could then attack with all three Transformers in a row. If Prowl was flipped, it also means each of those attacks has Bold 2! The last piece of the deck came in place thanks to Wheeljack. His ability while in car mode lets you draw and then scrap a card any time you upgrade a cars. This lets you filter your deck as you play upgrades, looking for those critical untap cards to play round after round. I wanted to make sure I was untapping Transformers as often as I could and that each untap was worthwhile. With Wheeljack’s ability to filter cards as you play upgrades, I decided to include a ton of upgrades. This lets me go find the untap cards while also making each attack from untapping more powerful with every upgrade. Given how important the untapping cards are to the deck, there are several cards that either filter the deck or draw more cards. Cards like Datapad and Incoming Transmission let you stack the top of your deck while filling your hand with critical pieces for future turns. Meanwhile, Agility of Bumblebee lets you draw cards every time he attacks. Upgrades like Drill Arms and Scrapper Gauntlets are also quite powerful, since Wheeljack’s ability lets you draw and, if your opponent doesn’t have specific upgrade types in play, you draw even more cards! One of the key strengths of the deck is attacking with a Transformer and forcing your opponent to attack that Transformers. Once they have dealt damage, you can untap that Transformer and attack with someone else, forcing them to divide their damage. 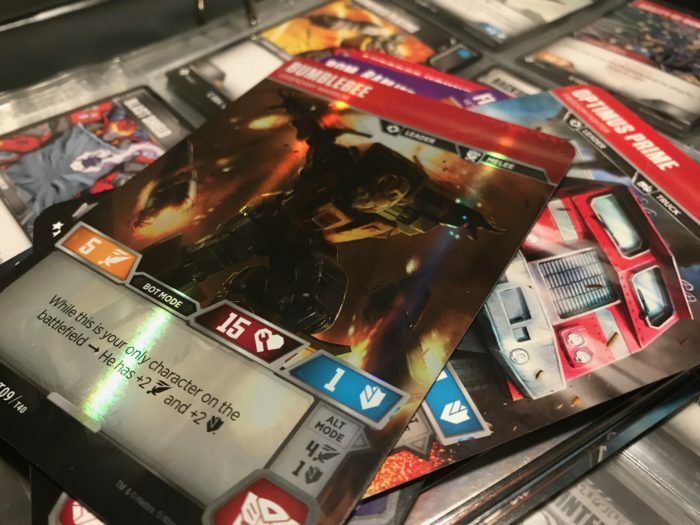 Given how often the deck untaps Transformers, it is also common to be the last player attacking each round. 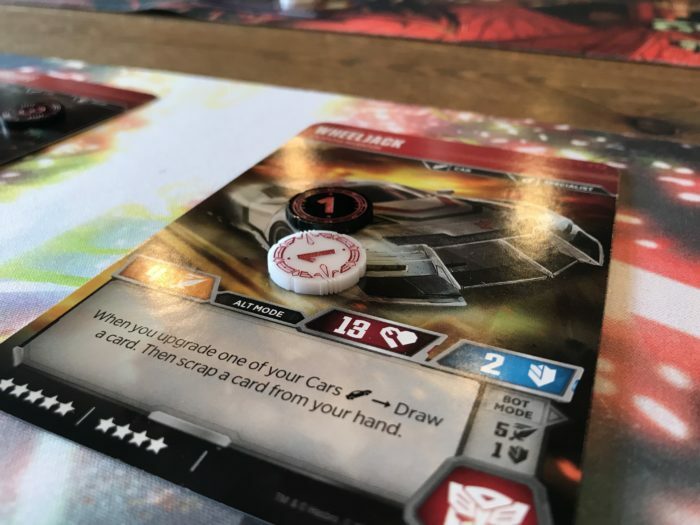 If you successfully divide your opponent’s damage, it is highly likely that when they defeat your Transformers it will be at the start of a turn. For this reason, I like ending turns with Prowl in bot mode. Any time one of your Transformers is defeated, he can heal 3 damage from another one of your Transformers, which can be huge. If you have been playing a deck with super rare Bumblebee or if you have any recommendations for changes I should make, I would love for you to leave a comment below! If you play the game, check out our Transformers TCG subscriptions if you want to automatically receive future sets without keeping up with set announcements or pre-paying months in advance.